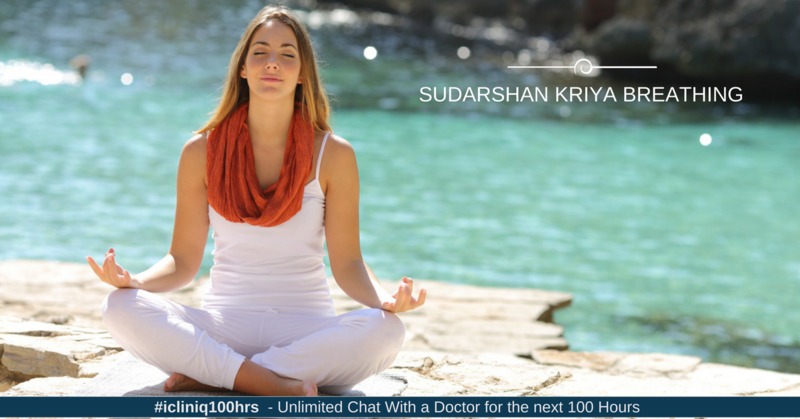 Sudarshan Kriya is a powerful breathing technique which works on connecting the body and mind through breath. It releases all types of stress - physical, mental and emotional. On practising this regularly, you can slowly learn to achieve a thought-free state of mind which has the potential to improve the psychological function of the brain. Research has proven its healthy effects on psychological disorders such as depression, schizophrenia, and manic episodes. Sudarshan kriya breathing technique is beyond logic where with various stages, breathing will improve the respiratory system, neurological, and circulatory function. This yogic practice has been proven to stimulate the vagus nerve which is the tenth cranial nerve. This, in turn, will improve the parasympathetic nerve activities and diminish sympathetic activities and thus help relieve physical, mental and emotional stress. Exercises to do when one has ankylosing spondylitis with an Andersson lesion. Sudarshan Kriya Yoga is known as SKY in research publications. It is a scientifically proven therapy which improves the usage of lungs through breathing. Through the breathing technique alone, a maximum of 90 % of toxins will be removed from the body, rest through urine and sweat. It helps maintain the body toxin-free. It provides relief from daily stress. It sharpens the intellect and keeps the mind alert. It removes the harmful free-radicals from the body. It strengthens the muscles of respiration and improves the volume and capacity of the lungs. Do you have a question on Meditation or Pranayama?